Boosted by an $18 million windfall from the sale of stock on Topgolf, Callaway Golf Company reported second quarter earnings of $34 million compared to $12.8 million the second quarter of 2015. The company reported Q2 2016 sales of $245.6 million versus $230 million in Q2 of 2015. Callaway reported Q2 sales increases in each of product categories, including a two percent increase in its core metal woods (vs. Q2 of 2015) to $50 million. The company’s irons sales in the quarter increased seven percent to $63 million and its accessories business increased 5.6 percent to $60 million. Golf ball sales grew 15 percent in Q2 to $50 million and putter sales increased two percent to $25 million. Despite the increase in sales in Q2, Callaway’s metalwoods sales the first six months of the year fell 1.7 percent versus Q2 of 2015 to $136 million. 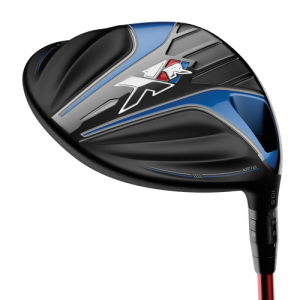 Overall for the six months, Callaway reported sales of $520 million versus $515 million the same period in 2015. The company reported earnings of $72 million the first six months of the year compared to $49 million the first six months of 2015. The first two quarters of the year generally are the high water marks for golf equipment companies. Callaway said it expects full-year 2016 sales at between $855 and $880 million.